I am very excited to have officially commenced my juice fast today. Already I can feel a sense of mental clarity, and my body is beginning to feel a bit tingly from the increased in blood flood. It’s funny. I always seem to have a brief thought stream while juice fasting that second guesses undertaking such an endeavor. The thought is usually associated with other ideas or sights of solid food. Then I remember my goals and stick to the fast with an even more motivation. I am also pleased to have discovered a great new juice recipe. 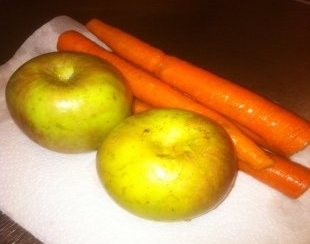 This blend includes: carrot, cucumber, kale, and apple. Although it looks like murky swamp water, it provides an excellent source of nutrients while still tasting delicious and semi-sweet to the palate. Tonight I plan to dabble with a bit of ginger. Ginger is ideal to reduce inflammation, which is what I am targeting per my chronically inflamed psoas muscle. I also plan to do a couple hours of Somatic exercises. Looking forward to the next few days! Hi, my name is Tyler. My goal in this life is to defy the myth of aging. You are probably thinking, “yeah, sure, okay dude.” But yes, it is true. People can live one hundred years old. In short, it’s all centers on keeping your body supple and taking in the right nutrients. You are what you eat. You act as how you do. If you avoiding eating things that will kill you, you are can defy the myth of aging. If you keep your body supple by consistently moving through the right balance of activities, you can defy the myth of aging. Sure, we will all get wrinkly skin and gray hairs. But it doesn’t matter what we look like. All that matters is what we are capable of doing. Today I prepare myself to embark on a 5 day juice fast. This is not the first time I have juice fasted, however I am still no expert at the discipline. My recipes are still being refined, as well as my practice. Lately, my behaviors have been straying away from righteous habits. Between overeating, drinking too much alcohol, and not keeping active enough, I feel like I am aging. So today, I tapered my meals size from produce, oats, dried fruits, nuts and seeds, down to a glass of hearty vegetable juice for dinner. I am also dedicating this week to investing a great deal of effort in Somatic exercises and Yoga. If you are unfamiliar with Somatics, I highly suggest enlightening yourself on what it is. Somatic exercises can help anyone overcome just about any chronic ailment (within time,) and I strongly believe this. For me, I have sensory motor amnesia (SMA) in the left psoas muscle from over-training in various endurance sports. My SMA has nearly disappeared, however that damn left psoas is not quite 100% functional. I strongly believe that by sending more blood to this ailment by giving my digesting track break, I will better sense the muscle and hopefully free it for good. Well I've made it through three days of the 7 day juice fast and I'd be lying if I told you I didn't have thoughts that there was no way I was going to make it yesterday afternoon. Day 3 of the juice fast started off pretty well. I had a good bit of energy yesterday morning, especially after seeing that I had dropped another 3.5 pounds during Day 2 of my juice fast. Juicing in the morning has been an interesting adventure as my wife and I have had to find ways to muffle the sound of the juicer so we don't wake up our 19 month old daughter. Yesterday we failed to avoid waking her up, so she got to join us for our 6 a.m. breakfast juice. 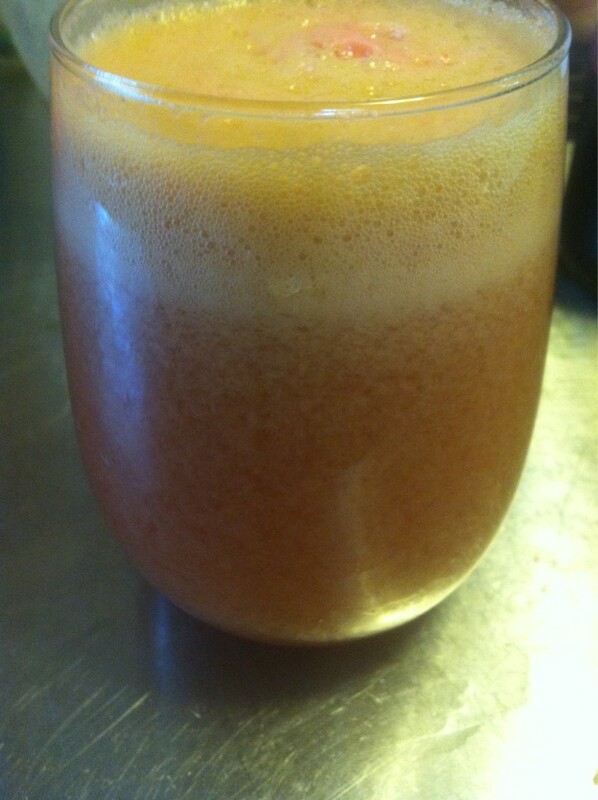 For breakfast I made a juice of 2 oranges, red kale, mustard greens, romaine, 7 strawberries, 2 carrots and 1 fuji apple. Luckily for me I only used 1 leaf of mustard greens which made the juice bearable to drink. 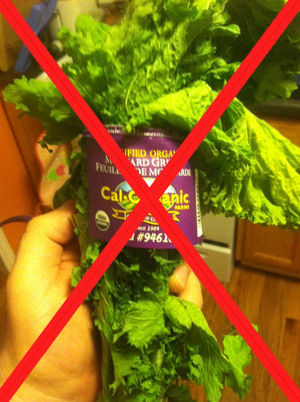 A little piece of juicing advice: avoid mustard greens at all costs. They are TERRIBLE in juice! They add a harsh flavor that burns the back of your tongue and stays there for what seems like forever. My wife wasn't so lucky, as she failed to taste the harshness of the mustard greens in my breakfast juice and decided when she got home from work to use 6 leafs of mustard greens in her afternoon juice. Boy did she pay for that mistake! For most of Day 3 of my juice fast I felt pretty good and energetic despite not having any coffee the entire day, but around 6 p.m. that all changed. I started feeling incredibly hungry and just wanted to go to bed for the night. This was the closest I've come to caving in on my 7 day juice fasting journey, but instead of giving in I decided to make myself an early dinner juice of green leafys, zucchini, parsley, carrots and tomatoes, had a big glass of water afterwards and called it an early night around 9 p.m. I'm happy to report this morning that I'm very glad I did not cave into the food craving because I'm feeling quite good and energetic this morning on Day 4 of my 7 Day juice fast. I did decide to have a cup of black coffee from our Keurig this morning which could be helping the energy boost but I certainly don't feel overly hungry nor irritable 3.5 hours after my breakfast juice. However, I will need to get back to the Farmer's Market here within the next day or two, as the fresh organic produce I purchased on Sunday is starting to dwindle and turn not-so-fresh. So far through 3 days I've managed to drop 9lbs from the juice fasting, which is a really nice feeling but it has me thinking about the transition back to eating that I'll need to make after the 7 Day juice fast is over. I'm sure many others who are juicing or have juice fasted in the past have similar feelings that their biggest fear is quickly putting all the weight back on once the juice fast is over. I'm thinking that maybe since I've somewhat gotten used to not eating that I would continue to juice for breakfast and dinner and then eat something light for lunches for the transition back. I think that way I will probably continue to slowly lose weight rather than put it back on. I guess we'll have to see what happens. Anyone have any suggestions? Despite getting a full 8 hours of sleep heading into Day 2 of my 7 Day Juice Fast, my day started off a little foggy with a lack of energy and more hunger pains that weren't fully satisfied by my 6 a.m. breakfast juice concoction of Red Kale, Romaine, Spinach, Carrots, Celery and seedless red Grapes. I've found that a pretty good juicing regimen for me is juicing every 3-4 hours, so by mid-morning I was ready for another juice. That juice featured Spinach, Romaine, Bartlett Pear, Celery, Carrots and an Apple. The fog and lack of clarity in my thought processes lasted the entire morning and continued into the afternoon. And then I started experiencing what most juicers I've chatted with describe about their Day 2 experience – a debilitating headache from 1-4 pm that sidelined me from being able to work most of the afternoon. Thank God I work from home and could lay down for a rest! My wife got home from work around 4:15 and we both made ourselves an afternoon juicing snack. This juice proved to be a lifesaver for the rest of my day! I juiced 3 peeled oranges and 8 strawberries for a nice fruit juice and man I felt GREAT about 30 minutes after drinking that fruit juice! My headache had already mostly subsided by the time I drank the juice, but I got a nice energy boost from the afternoon juice and my thought processes started to clear up quite a bit! Perhaps it was that injection of natural sugars to raise my blood sugar or maybe it was the dose of Vitamin C. I don't know, I'm not a doctor or a nutritionist, but I can attest to feeling much better after that. 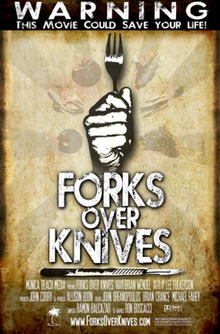 This documentary was an incredible eye-opener for me when it came to the staggering statistics correlating the incredibly high instance of cancer/heart disease when you eat a meat/dairy based diet and how significantly the instance of cancer/heart disease drops when you eat a whole foods, non-dairy, plant-based diet. A life-altering type of documentary that really made me think about the choices of food that I've been eating my entire life and how to transition to more of a plant-based diet so I can live a healthier lifestyle. To close this Day 2 Juice Fasting recap, I'd like to thank all of my Twitter followers who have engaged in helpful conversation about their experiences with juicing and the words of encouragement they've provided to keep me motivated - Including the man himself, Joe Cross, from Fat, Sick, & Nearly Dead who gave me a shout out on Twitter last night! Leftover Juicing Pulp: What Do You Do With It? Day 2 into the Juice fast and I'm starting to notice how quickly the garbage can is getting full with all this leftover pulp from juicing! So I ask, what do you do with your leftover juice pulp? Do you have any creative uses for it? Is it good for fertilizer? Baking? I would like to put it to better use rather than just throwing it all away! I was checking out YouTube to get a variety of perspectives on Juice Fasting and I came across this great video blogger RawRadiantHealth who gave some really good perspective on a question posed to her about how to get your protein while juice fasting. She explains that the point of any fast isn't to build or maintain muscle, it's to detoxify and cleanse, and getting protein isn't really the main point of juice fasting. She also discusses exercise and activity while you're fasting. Good video below! Well, Day 1 of my 7 day juice fast is in the books and I'm happy to report that I survived! 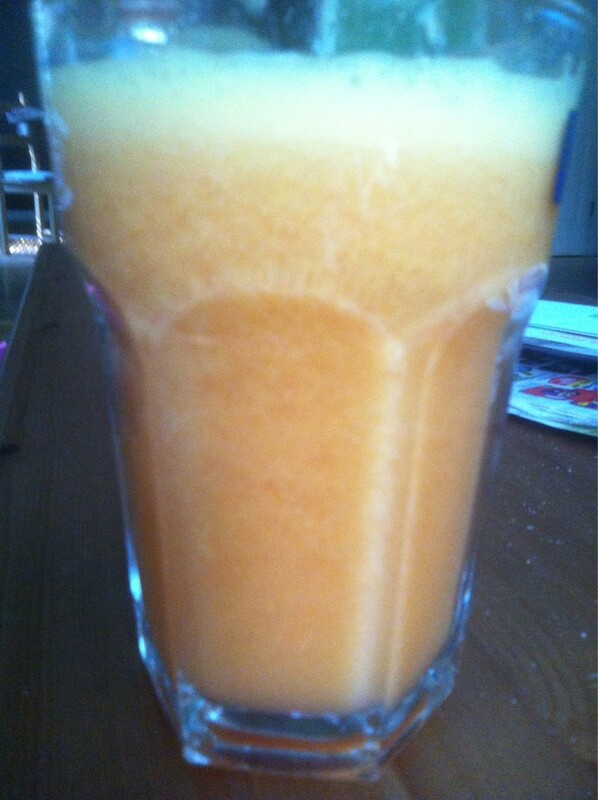 As with any new challenge, Day 1 got off to an enthusiastic start with a glass of Apple & Carrot Juice. Running on the high of a new challenge, I felt great the entire morning, and at mid-morning, I refueled with a glass of Spinach & Tomato Juice before we made our way to the local Farmer's Market to re-stock the fridge full of fruits and veggies. The thing I love about our Farmer's market is how affordable the fresh produce is! We were able to jam pack our cart full of green leafys, berries, apples, melons, celery, etc, all for $98! When we returned home from the Farmer's market, we made ourselves a tasty Green Juice concoction with Romaine, Spinach, Carrots, Apples and Celery. After feeling great the entire morning and into the afternoon, I hit the dreaded Day 1 Hunger Wall at about 3:30-4pm - right about the time my wife started making Spaghetti for our Sunday Family dinner with the in-laws. 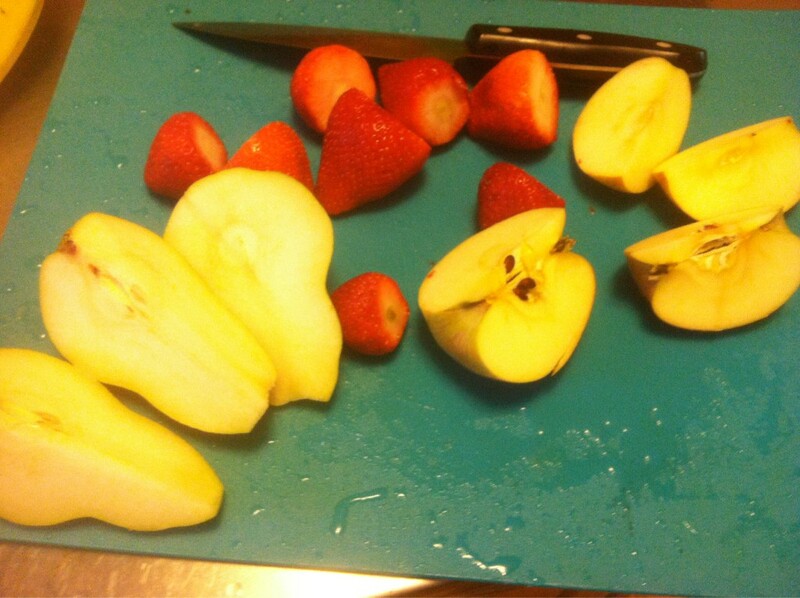 This was also the same time I started feeling a little fatigued and foggy, not thinking as clearly as I normally would have but I pushed through and made myself a little afternoon juice snack with Strawberries, Apple and a Bartlett Pear. The dinner hour was the most difficult part of Day 1. Sitting around with Family and watching them all eat a beautiful meals of Spaghetti, Garlic Bread & Cabernet while I drank my Romaine, Spinach, Carrot, Tomato, Celery & Apple concoction. I can't express how difficult it was to smell such a delicious meal and have to say "No, this is for my health and I will not crack!" "You're much stronger than that, and you'll be stronger when you're done. Saying yes is easy ... And why people are Fat. No is harder, but it's your health man. You can do it!" This, plus drinking a ton of water, gave me the push I needed to get through the rigors of Day 1 of the juice fast. This morning's weigh in reinforced why I'm doing this juice fast - I lost 4 pounds yesterday, down to 267.5 this morning. We'll see how much more I can drop over the next 6 days! This morning marks the first day of my 7 Day juice fast. Per my colleague's suggestion, I began the juice fast with a delicious juice concoction! In minutes, my wife and I had a delightful juice to help kick start our Sunday and this 7 day juice fast! If you're following me on Twitter, you'll know that the Juicer I've purchased is the Jack LaLanne Classic Power juicer, which I bought from Amazon.com. After the Jack LaLanne Power Juicer arrived at my home on Friday, I had a lot of questions about using the power juicer and what the best practices were for juicing. After a quick Google search, I landed on the official Jack LaLanne Power Juicer website and came across some helpful YouTube videos that provided tips on using the Jack LaLanne Power Juicer and for juicing in general. 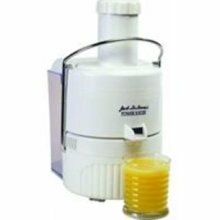 I've embedded a couple of those videos on this post to help anyone who has come across My Juice Fasting Journey and is looking for tips on the Jack LaLanne Power Juicer. 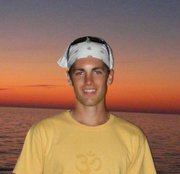 Despite this being the first post on this juice fasting blog, despite the title of this post being the “My First Step in Juice Fasting,” and despite having never juiced a day in my life, today isn't the first day of my juice fasting journey. My juice fast journey started a few days ago, while I was sitting on my duff on the couch in my living room. 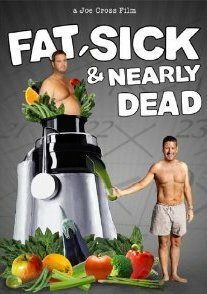 Per the recommendation of a colleague of mine who recently transformed his physical health by losing 50 pounds, my wife and I watched “Fat, Sick & Nearly Dead.,” a documentary by Joe Cross about two men and their own experiences with juice fasting and how it helped transform their waist lines, health and overall outlook on life. I've always been overweight, weighing in currently at a robust 270 pounds. My current lifestyle is very sedentary, as I work as the Operations Manager for an Internet Marketing company (translation = 10-12 hours of duff sitting in front of a computer everyday). Although I eat plenty of fruits and veggies and generally substitute turkey or chicken for any red meat, I don't exercise, I drink too much coffee, I'm constantly consumed with work and family (19 month old daughter) and I drink my fair share of alcoholic beverages. Twice in my life I've successfully lost 50 pounds or more, but failed to keep the weight off. So at 270 pounds and 28 years of age, any motivation for a change in lifestyle is welcomed. Seeing my colleague's weight loss success and watching “Fat, Sick & Nearly Dead” provided the motivation I needed. So before diving into the juice fasting fad, I researched to find out more about juice fasting for weight loss and body detoxification. After reading several juice fasting blogs and hearing more testimonials of personal success with juice fasting, my wife and I decided that we were up for the challenge of rebooting our lives with a juice fast, and today we made the first step in juice fasting by purchasing our first juicer! Per my colleague's recommendation, I researched several juicers and landed on Jack LaLanne's Classic Power Juicer, which, which I priced online at Target.com for $99 (which is $10 less than it was in-store) and ultimately made my purchase on Amazon.com for $89, with free shipping! 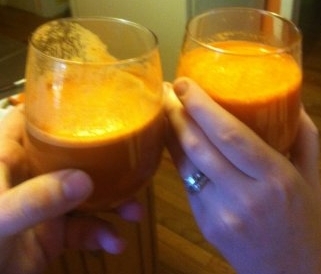 Now that our juicer is on the way, my wife and I plan on easing in the juicing into our diet. We are planning on ramping up the juicing by substituting one regular meal a day for a few days, then two, leading up to our first 7 day juice fast, which we plan on doing at the beginning of May! If all goes well, it's my personal plan to challenge myself to a 30 day juice fast later this summer. In future blog posts, I'll be posting before/after pictures, discussing our experience during the juice fast and posting any decent juicing recipes and references we come across during our juice fasts. One great feature about this blog is that I want anyone who has done a juice fast of their own to share their stories with us – either positive or negative – so that we can get multiple, balanced perspectives on juice fasting for weight loss and detoxification. For now, I can't wait for my new Jack Lalanne Power Juicer to arrive!